NBYT is excited to announce the beginning of a new program that will bring educational touring performances to area schools. The Community Foundation of Greater New Britain has funded the development of the program along with initial performances in New Britain schools in the fall. NBYT has been brainstorming this idea for a while, and this generous grant from the Community Foundation provides the funding to make it happen. The first production, an original one-act script with a working title of The Cinderella Project, will begin rehearsals this summer and will be ready for school performances in September. Performances will expose students to live theater, will align with Literature and Language Arts standards, and will also serve to generate interest among students in after-school drama programs and other NBYT productions. In The Cinderella Project, as Cinderella runs from the ball, she meets the characters from other Cinderella-like folk stories from around the world, and they teach her that the power to change her life is within herself and not just with a prince, a fairy godmother, or fate. Characters include Ye Xian from a Chinese folktale (one of the world’s oldest Cinderella stories), Mpunzanyana from an African tale, Arcia from a Spanish American story, and Billy Beg from Ireland (yes, a male Cinderella). A cast of six will play all roles in each other’s stories. 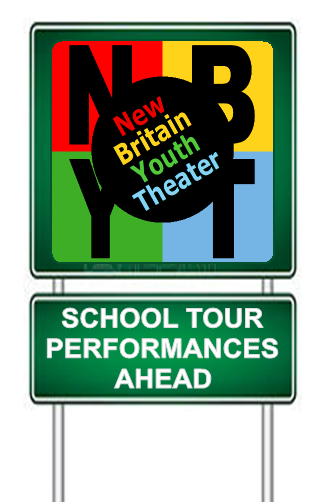 NBYT will also develop a touring improv performance for middle schools. Audition notices for actors age 18 and older will be posted soon. Schools interested in performances beginning in fall 2014 should contact NBYT Executive Director Darren Farrington at 860-515-8115 or darren@nbyt.org. Previous Previous post: Help Send a Child INTO THE WOODS!